St. Martin's Press, 9781250038074, 256pp. 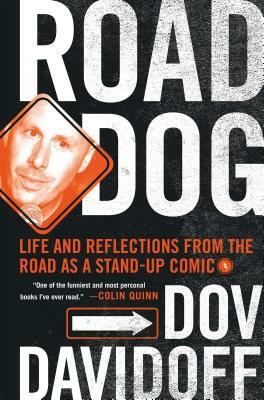 DOV DAVIDOFF is a New Jersey-born stand up comic, writer, and actor who was named one of Variety's Top 10 to Watch. Davidoff is a regular on college campuses and Chelsea Lately, starred in Invincible with Mark Wahlberg, and has appeared on TV shows including: The Tonight Show, Jimmy Kimmel Live, The Late Late Show, Last Call with Carson Daly, Chappelle's Show, Tough Crowd with Colin Quinn, Live from the Red Light District, and Russell Simmons Presents. He is a favorite at the prestigious Montreal Just for Laughs Comedy Festival, as well as HBO's The Comedy Festival in Aspen, Colorado. Road Dog is his first book.